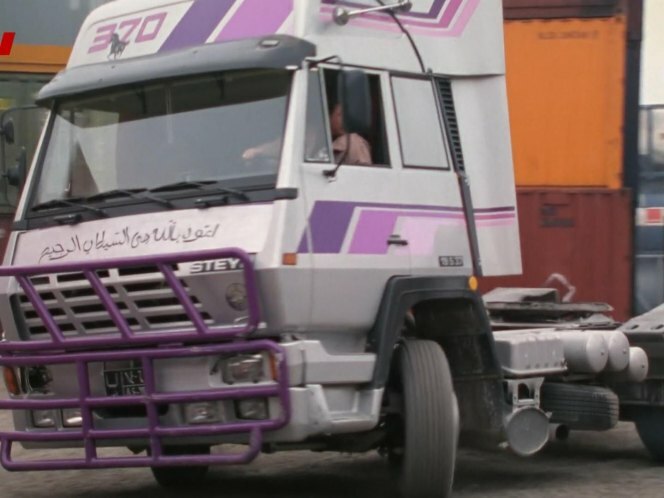 IMCDb.org: 1988 Steyr 19 S 37  in "Tatort - Blutspur, 1989"
Nice, design used since ca 1988.
there are arabic writing on the grille . timo wrote there are arabic writing on the grille . AFAIK vehicles with plates completely in foreign letters are not allowed in Europe. So the Iranian trucks* here always have Link to "de.wikipedia.org"
*not only the trucks. Recently a plate-fellow spottetd a Bus with such plates in Berlin.